The police officer leading the cash-for-honours inquiry has been promoted, Scotland Yard has said. 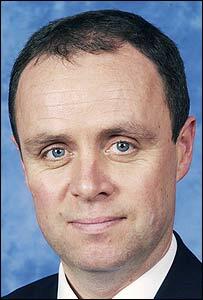 John Yates has formally moved up from his role as Deputy Assistant Commissioner to become the Metropolitan Police's fifth Assistant Commissioner. The criminal investigation is looking at whether some people who loaned Labour money ahead of the 2005 election were nominated for honours as a result. Last week, Prime Minister Tony Blair was quizzed as part of the inquiry. Mr Yates's new role is the third highest post in Britain's largest police force, behind only the Commissioner, Sir Ian Blair, and his deputy Paul Stephenson. His starting salary will be £163,908. As well as the cash-for-honours inquiry, Mr Yates also led Scotland Yard's response to the Asian tsunami and the Stockwell shooting. He was appointed to his new role by the Metropolitan Police Authority (MPA), which scrutinises the work of the force. Len Duvall, chair of the MPA, said: "The challenge of policing London, one of the world's major capitals, with its many complexities and wonderfully diverse and vibrant communities, exacts the highest degree of professionalism and expertise from every serving officer. "This is even more true at the strategic command level and we have no doubt that John will lead by example." Sir Ian added: "I'd like to congratulate John Yates on his appointment as Assistant Commissioner. "In a long and distinguished career with the Metropolitan Police Service, he has consistently demonstrated his policing ability, working at the highest levels."